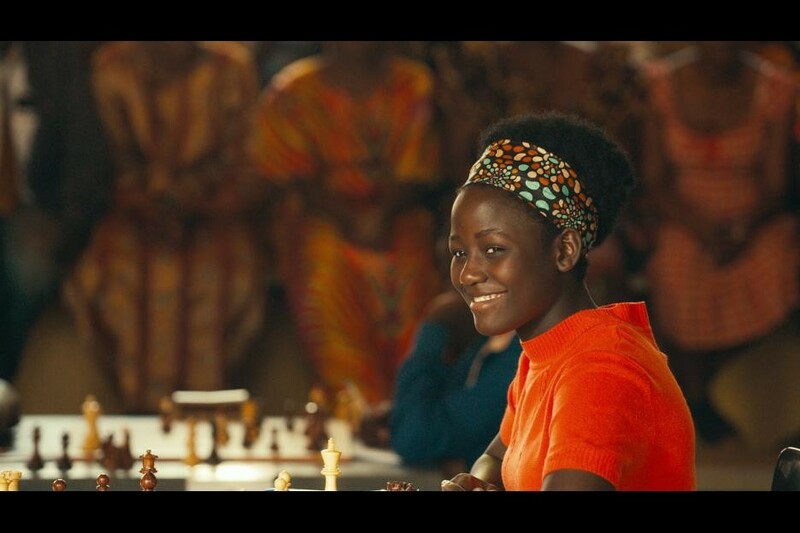 Based on the true story of Phiona Mutesi, “Queen of Katwe” is the kind of rare adult drama we rarely see these days. It is emotional at all the right times. Exciting in the most unexpected ways. It is mature without having to go beyond the (very reasonable) PG-rating. This is a movie that starts with a sense of hopelessness and proceeds with victory in a land that is unforgiving and cruel at times. It takes place in Uganda, a country that is not known for great opportunity. There is a section of the country that is privileged, but for most of the people every day is a struggle for survival. Most kids don’t go to school because not only is the cost of a basic education out of reach for the most part, but what the family needs aren’t scientists; they need food and money to survive. 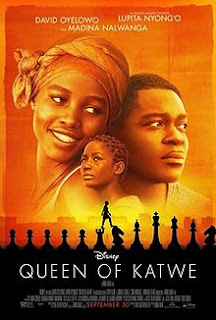 This is the world Robert Katende (David Oyelowo) lives in. He is a sports instructor for a local Christian ministry whose job it is to reach out to local kids. 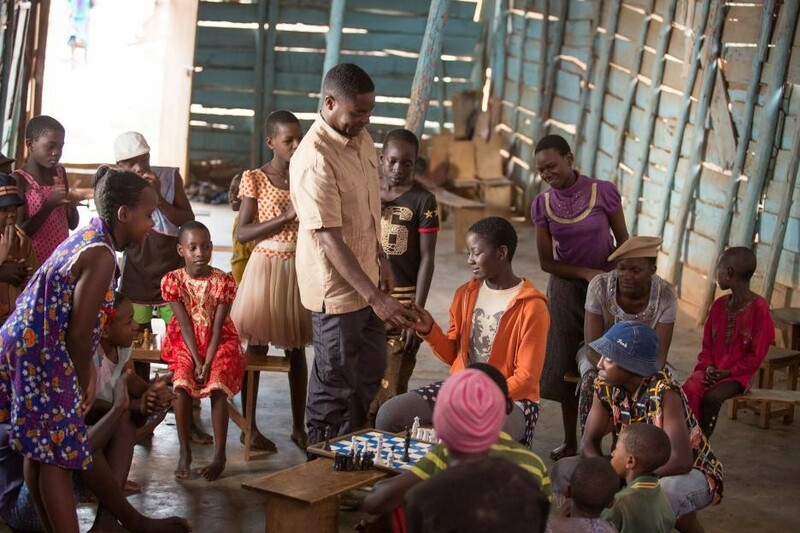 While he wears many hats, his main focus is teaching the local kids chess, a game that teaches discipline and critical thinking without resorting to physical violence. When a young girl with a foul odor enters his church one day he is unprepared for how extraordinary she will be. 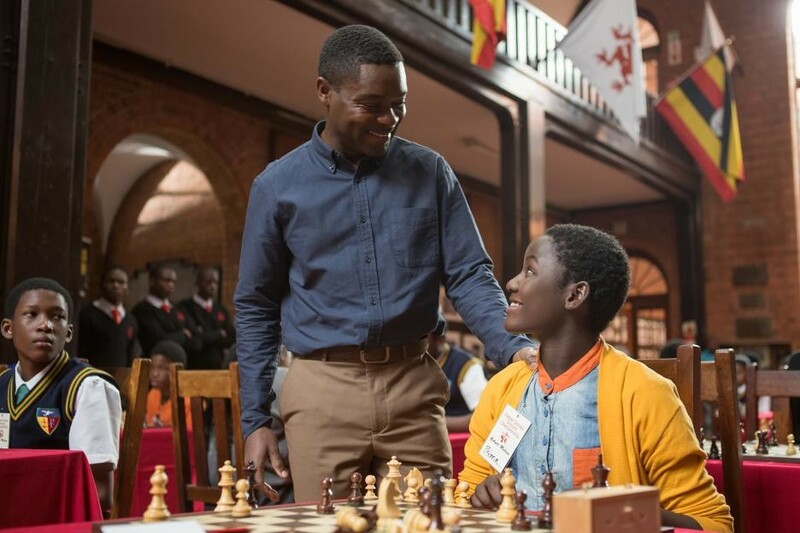 While young Phiona (Madina Nalwanga) needs a few lessons first, she proves to be an exceptional chess player, one who could become (what is known in the game) as a ‘Grandmaster’ if she receives the proper training. There are problems with this dream though, as Uganda is not a place that favors young kids with skills. It is a land where most need to scrape just to get by. What’s more, Robert needs the help of Phiona’s mother - Nakku (Nyong’o) – to help guide her daughter into a potentially better future. Nakku is (in her own words) an “uneducated woman,” and while she wants a better future for her kids, she doesn’t know how to provide one. In her defense, while Phiona is good at a board game, being able to play any game for money is especially difficult. Imagine trying to make a living playing a game that most of the world considers to be played primarily by grandpa’s and grumpy politicians. I would have a hard time finding out how people make a living playing this, and I live in America, where we were home to arguably the greatest chess player of all time: Bobby Fisher. This means that Phiona’s journey is going to have much more roadblocks than your typical underdog sports hero would have. Brilliantly though, the movie isn’t completely about Phiona’s rise to chess fame, but rather how she becomes a beacon of hope for not just her own future, but for her entire family. 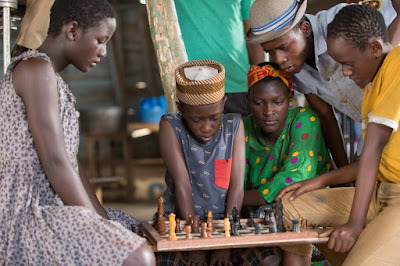 Her mother doesn’t realize it, but letting her daughter play chess may be the best thing she can do for the family. Even we as the audience don’t understand why this is going to be the case until it actually happens, so in a way we are on this journey with Nakku herself. We are discovering just how much the game of chess is going to change all their lives as it is happening. There is no forgone conclusion in a movie like this; it is what it is. “Queen of Katwe” feels like a movie that would be right at home in the independent film scene. It feels like something no major studio would touch. Yet here it is, being released in over 1,000 screens and being fully funded by Disney and ESPN. When the BluRay comes out it will be a real treat if we can see the presentation pitch that convinced these giant corporations to invest in something so personal. Now it is time for the audience to do their part. I have laid out all the complaints you have had with many movies. I have just described a wonderful story to you. 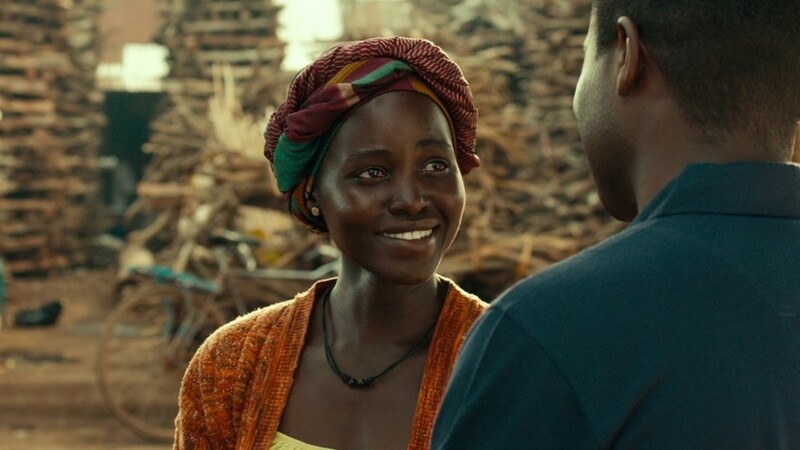 The movie has great performances by Nyong’o, Oyelowo, and especially in newcomer Nalwanga. It is a masterpiece by every definition. Now it is time for you to do your part and buy a ticket to see it. You need to recommend it to your friends if you like it. You need to prove that money can be made with this kind of movie. If “Queen of Katwe” is a box office failure and gets pushed to the side while movies starring all white casts continue to make money, you have no one to blame but yourselves for this. For as optimistic as this movie is, it still lives in a world where money makes movies like this a reality, so it’s time to show that diversity is still profitable in this day and age. After all, this is the kind of movie everyone says they really, REALLY want to see…right?! Parents, there is some strong references to prostitution (without anything being seen), some mature themes, and some minor language. However, it should be noted everything touchy that is discussed is discussed in a way that will go over the heads of younger viewers, and nothing explicit is seen. Recommended for ages 10 and up.